The Beachwood is a mid-town, waterfront property just steps from the beach and only 8 short blocks from downtown. The contemporary design, open great-room with oversized wood fireplace, invites family gathering while sunset gazing or storm watching. Enjoy the spacious, fully remodeled kitchen (2012) and open dining area, while still not missing that ocean view! The open flow from the kitchen / dining area to the great-room creates ample room for spreading out, enjoying TV, music, or the fireplace. Conveniently on the main level, is the master bedroom with a King sized bed; the second bedroom with a Queen bed; the main bathroom (tub/shower); and a laundry area. The upstairs open loft features a Queen bed, a bathroom with shower, as well as a third private bedroom (Twin beds) with an additional TV and DVD. Accommodates 8 maximum; pets welcome; no smoking; parking for 3 vehicles. 3 night minimum stay, except summer months. "The house overall was exactly what we expected from the description and photos. 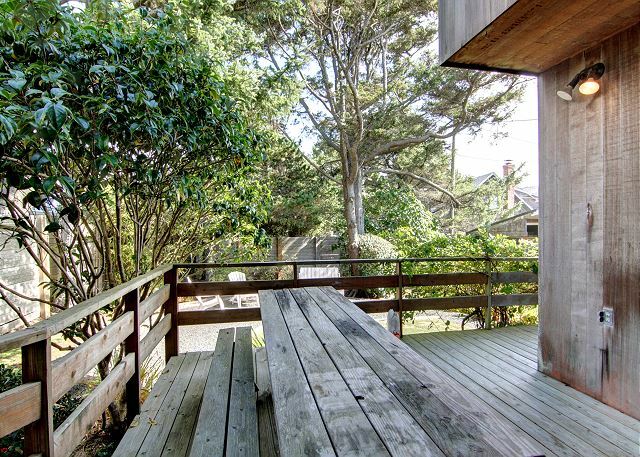 The best part was being right next to the beach and walking distance to both mid town and downtown Cannon Beach." Hello Edward, it is wonderful to hear you enjoyed yourself. Come back soon! "The Beachwood is a wonderful home on this amazing beach. Very well stocked, comfortable beds, dated but very functional bathrooms and open concept allowing for great family time - with an unblocked view of the ocean and the rock. " "I always get great service and information for the staff. We also love Beachwood for the access to the beach and downtown." It is always our pleasure to have your family as guests! Come back soon! "Great time away with good friends!" Hi Nancy, I am very happy to hear you enjoyed your stay. Come back and visit soon. "Our yearly stay at The Beachwood is always memorable. Yummy meals in the updated kitchen, the fireplace ablaze, walks on the beach, and fun times with the grandkids. We look forward to our yearly retreat. This year we were blessed with a Lunar Eclipse and the rain clouds dissipated to clear days to enjoy. Lovely time!" "You will definatley enjoy your stay. Beds are comfortable, and everything you need will be supplied." "We love the home. We have been coming for a week in December every year but one since 2011. We look forward to next year." We look forward to having you back next year! "Location and layout are perfect for our group. Weather was amazing but the house is great for storm watching too!" "House is very well equipped and location is terrific." "This is a great house - right on the beach, a great quiet courtyard or small front yard with nice ocean and rock view, and easy walk to town. " "Weather, beauty of area, things to do"
"We love Cannon Beach and we've been coming for over 20 years. It's always a special time for our family celebrating my mom's birthday." "Great location for both beach and walking to town. 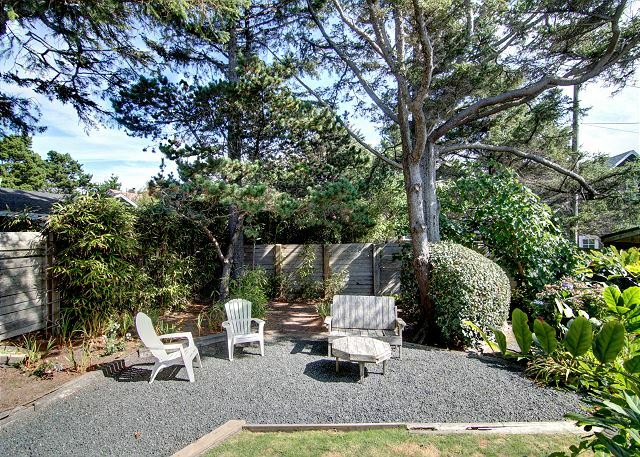 Loved the fenced in back yard and the updated kitchen." "Location, beautiful house, great service. " "This is a beautiful home, in a perfect location! 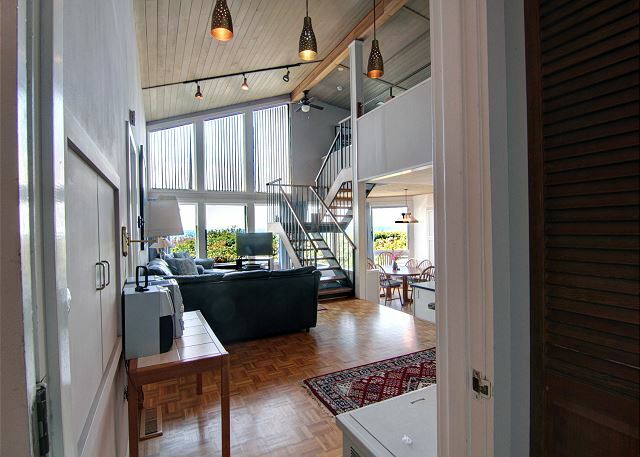 You’re steps away from the beach, and just a short walk from downtown. " "Perfect location to the beach, food and shopping"
"This home was perfect for the celebration of my husband's 75th birthday with our two adult children and three grandkids. The location of Beachwood is excellent...right on the beach, close to Haystack Rock and an easy walk to town for shopping. Plus it's on a dead end street, so very quiet." "This house has a great kitchen with plenty of room for the chefs and is very well stocked with cookware, utensils, dishes, etc. Lots of windows to view the ocean and cozy back yard. The wood burning fireplace was a plus for those chilly, rainy days. AND, it's pet friendly!" "Exceptionally clean and well equipped. Back yard is lovely, well cared for and unexpected - like a secret. " "Love this home on the beach. It's open concept suits our family time so well. Can't wait for our next visit! " "Overall the experience was great. I absolutely LOVED the kitchen and the amount of beds were great. Being so close to town and the beach was amazing. We did have some problems with the electrical outlets in the home and I wish I would have known that one of the bathrooms is a shared (doors on both sides) bathroom. " Good to hear you had a great experience at Beachwood. The location cannot be better. The electrical outlets have been repaired. Hope to see you again for another stay with us. "Great location! Easy access to the beach. The kitchen work area large and well equipped. Real wood fireplace was well stocked with wood. Bedroom arrangement for seven/eight worked well. We loved the new Fresh Market at Tolovana. And it is always fun to have fish and chips at Bills in Cannon Beach. " "Our family has been making our annual trek to CB for the last five years and we've been infatuated with CB since our first visit in 1989. We stopped at CB after driving cross country from NY on the family's move to JBLM. We loved the Beachwood location and the layout of the house. We visited CB with our two and half year old and four month old grandsons and five adults. The kitchen was a big plus, although it took a day to adapt to appliance features. It was fun to cook our favorite recipes in a kitchen with all the aminities and well equipped. It felt like home! We really missed the outdoor grill and recommend you purchase one soon. The upstairs bathroom shower is very tiny and a challenge for people of tall stature but we were very impressed with the spa towels. Our family loved the million dollar view of the ocean and haystack from the bedrooms, living room and dining area. Even the rainy day was fun watching the waves roll in and walking the windy shore. We experience difficulty locking doors and unable to lock balcony door in upstairs bedroom. The doors locks need replacing. We would stay at Beachwood again but due to the tiny bathroom my husband would like to stay at one of your other vacation rentals on the ocean front. We love your ocean front rentals and the location being within walking distance to the shops in town. We're planning for next year and checking out your other vacation rentals. Our stay was a 9.5!" "The bathrooms were in need of minor repairs. Blinds were worn. It would have been nice to have an outdoor lounge chair, even a fold up one would lave been okay. The location was fantastic! The kitchen was great. " "We had a nice stay at the Beachwood. Location is great both to town and the beach. Although the house is a little older, the kitchen was great and well stocked. We cook every night so this was a huge bonus. The listing states that there are 2 queen beds but I would say they are actually large doubles, not very big. 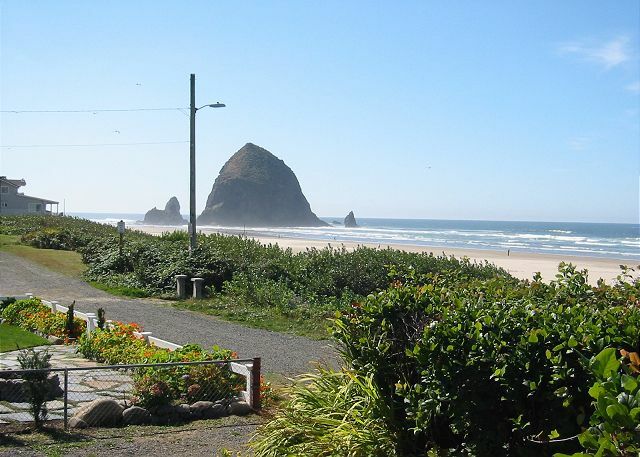 Overall we had a good time and working with Cannon Beach Property management is wonderful." "This house has a great location, just steps from the beach with a perfect view right off the deck. The kitchen has everything you could need to prepare meals for those not wanting to eat out. The location to downtown is convenient as well." 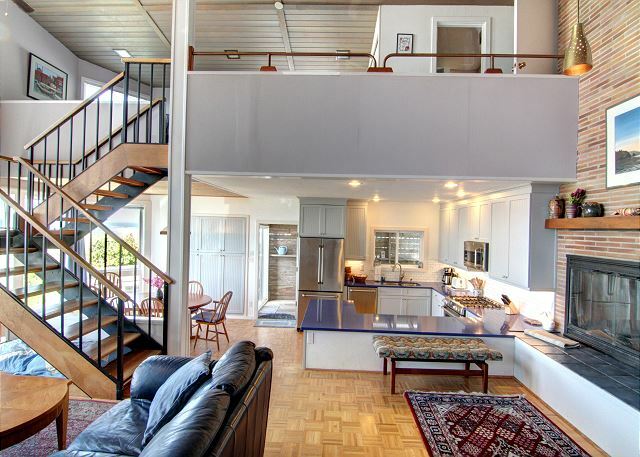 "Our two week stay at Beachwood bracketed the Cannon Beach Sand Castle Festival, and friends and family enjoyed the spacious house of four bedrooms, two baths and lots of kitchen and dining and entertaining area, easy access to the beach, and walking proximity to shops in town. The Beachwood was well-stocked with all the utensils one needed for cooking and some basic condiments, olive oil, vinegar and sugar, but bring the food you intend to use for family meals. The grill worked perfectly for the whole salmon one night and paella, another night, and hamburgers a third. We are planning next year's stay. Centrally located, we easily drove to other places, Astoria, Seaside, Manzanita, Tillamook, for shopping, museums, restaurants, and hikes." "Greatest views,easy access to beach, kitchen has a wonderful modern working plan for large group, unusual bar, extra comfortable beds, sideporch/deck and back yard are protected from the wind. Thank You, Judy "
"We had an amazing week here and will definitely be back! " "Fantastic house, right on the sand. Excellent views, beautiful fireplace, clean kitchen, nice bathrooms and beds. Hard to find anything wrong with this place. Love it, would stay here every time if possible!" "Great location between haystack and downtown. Lots of good ocean views. "We really enjoy coming to Cannon Beach and having wonderful experiences at the Beachwood. We would not think about staying anywhere else. It is perfect for our family! We have made this rental a tradition since our 2nd grandchild was born. We will continue to come for as long as we are able Thanks to the owners of Beachwood for sharing their lovely oceanfront home." "Just spent 4 wonderful days with a family union at this lovely comfortable property in Cannon Beach. Perfect place! " "One fantastic week in this spacious house! The inside is up-to-date, extremely comfortable and clean." "We rent this house every year as a family. It's the perfect place for four females to have privacy and communal places at the same time!" "We rented this house for a week in mid-September, right after the low season rates went into effect. The kitchen, dining room and living room are an open floor plan with views of the beach and is a nice area for hanging out and visiting. The front master bedroom has a view of the beach and a wonderful outside porch. The upstairs loft also has a view and, for us, noise from downstairs was not a problem as people in downstairs bedrooms went to sleep early. The kitchen and house in general was equipped nicely with everything you need in the kitchen and flat screen TV's and DVDs both down and upstairs. The house does allow pets which caused one of us to have slight allergies. It's an easy walk into downtown. We've rented different houses many times from this management company and they have always been clean and well equipped, and if there has been any problems, they have taken care of them in a timely manner. We like this management company." All in all private, lovely view-- nice living space"
"We had a great time. The home was very clean; the furnishings were nice and there was plenty of room for a party of 8 people." "We really liked this home! Great experience overall. We did leave a day early, partly because of the extra soft beds in master and 2nd bedroom. Woke up progressively more stiff." "This is the third time for our family to be in this home and once again we were not dissappointed! The Beachwood is in a great location, maintained well and also stocked well. Having summer like weather just made the week even better. 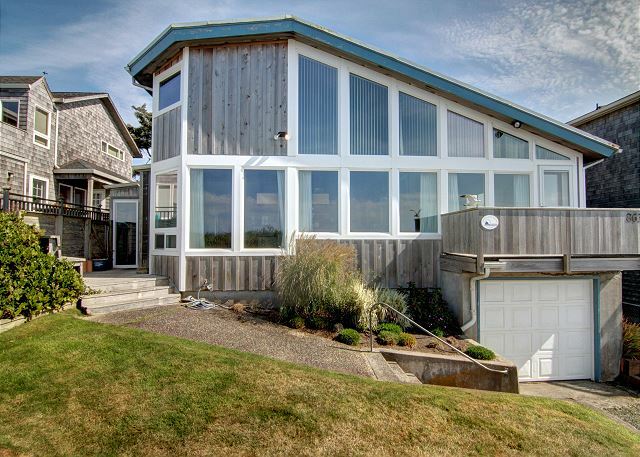 Already looking forward to our next visit to what our grandkids call our Cannon Beach home. " "This was our 3rd year at Beachwood. We love it every year! 6 Adults and 2 little grandchildren. JUST enough beds for all. Perfect open concept so our family can talk and keep an eye on the little ones. Being right on the beach is so perfect. We'll be back next year. A bonus this year, was the 65 degree weather and sunshine!!!!" "It was a pleasant stay"
"The house is right on the beach-lovely location. Windows look out to sea from the main floor. The house accommodates 8 people easily. The kitchen is well stocked with dishes,pans and utensils. The former guests left the pans in bad shape, with burned on food. We had to clean them with steel wool. The mgm't. company responded and brought some right over. Linens upstairs need attention. Otherwise, and these are relatively small things, we loved our vacation." "It was wonderful. From the beginning to the end. The house is very clean and it has everything you need. There is only 2 things I can think of to improve on. The bathrooms need to be remodeled and the bed in the 2nd bedroom down stairs needs to be replaced." "The stay was very nice and I would stay here again. The only thing that was difficult to deal with was getting in and out of the property with a large vehicle, especially when other cars where parked in front of the property next door. " "This is a great beach house!! It was so very nice to have a really nice kitchen to cook in. The beds were super comfortable too! Loved being so close to the beach. I will stay here again!" "My birthday is in February - several years ago, we decided my gift would be a special stay on the Oregon Coast. It is now a "tradition". This year our son, his wife, our two little grandkids, our daughter and her boyfriend were all able to join us. What a wonderful time we had! Though it rained and was very windy, we had a great view of the waves rolling in and kept the fireplace ablaze. We will be there again next February :-)"
"Location was great. View was exceptional. All in all, the experience was wonderful." "Beachwood is in an excellent location, right along the beach and with great views to Haystack Rock and Ecola State Park. We also liked the fact that we could walk to downtown Cannon Beach. My only complaint is that cell phone reception at the house is not good on some networks - I was on AT&T and it didn't work at all, my friend was on Verizon which did work, most of the time. The Staff at Cannon Beach Property Management were excellent. They had someone right there to change the battery in a beeping smoke alarm, and as we were staying for 2 weeks, also arranged cleaning service on a day convenient to us. There is one small bit of maintenance that needs to be done. The plate in the front door frame that the dead bolt goes into is missing a screw, so it moves around and you have to fiddle with the plate to get the bolt to go in. We had a wonderful stay, the house is spacious, and we loved the real fireplace!" "Perfect house for our girls getaway. Good location, close to beach and shopping!" "We have been staying at the Beachwood property for some time. We come at least 3 times and try to make it 4 times a year. We love the location and the house, while old and in need of some repair, works great for our needs. The new kitchen is beautiful and we appreciate the investment the owners are making to improve the property. " "We loved the location of this property. The remodeled kitchen was very nice & the home was clean and well equipped. We assume remodeling of the bathrooms is in the plan!! Also new blinds. We had a hard time finding the entry door when we arrived in the dark so a light on would have been nice. " "Can't beat the view and the convenience of this house; and the new kitchen is fabulous for family meals and / or laying out the takeout pizza. We have been coming to this address now for 11 years and every year are delighted with the town, the location, and view of Haystack and the coast from the front balcony. Plus we can walk to a family market, excellent dining, the Farmer's Market, and several galleries not to mention Fun Cycling all within two blocks. This year we did notice that the downstairs bathroom could use freshening and a grab bar for the tub/shower. Also that the front deck steps at the entry would be improved by some sort of rail, for those of us with trick knees. " "We come to Cannon Beach each year around the same time for my mom's birthday. It is such a special time for myself and my family. My nephews are growing up so fast and these memeoris we create each year are so special. We love your property and count down the days until we return." 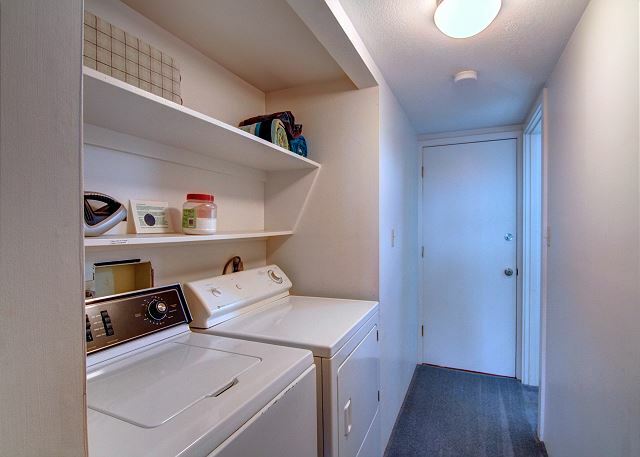 "Great location, easy access to all that is Cannon Beach. Kitchen is great, master bath, not so much. Windows were not cleaned. " "Driveway is difficult to manage. Bathrooms a little dated. Kitchen lovely. Well supplied home. View spectacular. We loved it." "Lovely home, we had a wonderful vacation weekend and will definitely be back." 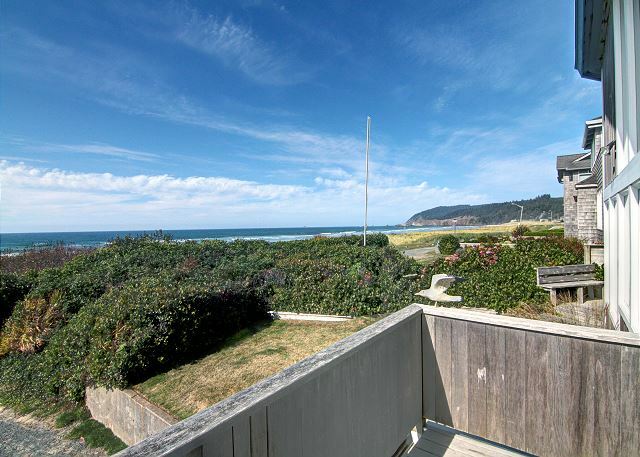 "Perfect location: on the ocean between haystack rock and downtown. Short stroll to each. House itself is clean but has a weird floor plan with no flow. I slept in the loft and the queen bed was up there uncomfortable and if anybody wants to stay up later in the evening, it's loud in the loft. Reports from other beds were that they were comfortable. Kitchen is new and beautiful. Has everything you need. The rest of the house is out of date, 70's style. But it didn't bother me because it's clean. The backyard is very beautiful, but again a weird layout. Also, they didn't provide beach gear, which was frustrating. Overall, I'd stay here again, but would consider other properties as well." "This location is hard to beat. Haystack Rock and the ocean are just out the front window. Within walking distance of downtown and some excellent restaurants. Only complaint was the wood dining room chairs that were falling apart. Overall a wonderful experience. " "This is a perfect ocean front home. Our family loved it. The open floor plan was perfect for our family of six. We also loved that we could bring our dog. We will be back!" "this is the second time we have stayed at the Beachwood and can't wait to do it again! It is the perfect home for our family connect at our favourite beach. It is well stocked, love the new kitchen and is in the perfect location - on the beach and an easy walk to town. The staff were very professional and accommodating - even had a shovel and pail for our 3 year old grandson and treats for our dog. We enjoyed every minute of our stay - even the storm - and already look forward to our return visit. " "My husband, my son, his wife, our 3 and 1 yr old grandkids, and me (the birthday girl), enjoyed our Beachwood stay thoroughly! Though it rained most of our stay - the fireplace was ablaze and so cozy. The beautiful kitchen was great to prepare our family meals. Our only disappointment was that the hot water was very limited. After doing dishes at mealtimes, the hotwater was gone for bathing. I reported this to the management at checkout time. They assured me I should have called them to have it fixed. But, alas, we made due with the issue. Hopefully a new hotwater heater will be installed before we rent Beachwood again, which we definately intend to do!! Enjoy your stay :-) "
"Great home, offering privacy for a family, a gathering spot for family and friends, great views, and a perfect location - no need for a car as you can walk into town. " "great view and access to beach"
"My family stayed at Beachwood for Thanksgiving and had a wonderful time! The location was perfect; right on the beach with a great view of Haystack Rock. The house had a great layout and a beautiful brand-new kitchen which was great for cooking. The only snag was on Thanksgiving morning, we woke up to a broken furnace, but we called the after-hours CBPM line, which was immediately answered, and staff deployed a furnace repairman to the house within an hour. He fixed the issue quickly and was very nice. I was impressed at how fast the issue was resolved, especially considering that it was a holiday. I highly recommend this property and CBPM as a whole! I have rented from them several times and have always had a great experience. " "With 6 of us staying together, it was nice to have so many bedrooms and comfortable beds. The remodeled kitchen was beautiful." "This was the second time we stayed at Beachwood. Love the new Kitchen - still stocked great and so beautiful now! We are already looking at dates to come back. Thanks to CBPM and the owners!" "To recommend to friends in addition to the planned kithen renovations a general make over to the interior downstairs bathroom is required as well as securing the master bedroom door leading to the balcony. The garage door also requires fixing. We have stayed at this homefor 4 successive years and we have seen a slight deterioration in the interior of the home but nothing a regular maintenance programme would not fix. " "Once we moved in, after several visits to the office, we had a perfect experience and wonderful weather, too. We are coming back next year!" "but we enjoyed this house. Great selection of cooking pots, pans and utensils. The second shower is VERY small. Our kids wouldn't use it. One bed has no privacy. Could be an issue for a large group." "We have been clients of CBPM for almost a decade and there is a reason we keep coming back to them. Over the years, as our family has grown, they have recommended several properties, each one just right for our circumstance at the time. This particular home is roomy, light and comfortable, always clean, although the yard needs maintenance. A word: the pantry is not stocked as in some other homes, so vacation cooks need to bring everything they intend to use, including condiments. Some items are available at the local Mariner's Market which is within walking distnace, another bonus for this location." "The house is a little 70's/80's retro, but very charming and homey. Loved the location, a short walk to Haystack rock or downtown shopping. This is the 2nd time we have rented this house and will very likely rent it again." "We've been back to Beachwood many many times over the past decade. PERFECT views and PERFECT location. Great to hear that dogs are now welcome, too! Even better for us." "Great location and beautiful view of ocean. Nice home for family and pets. Enclosed backyard perfect for dogs." "Beautiful windows and view of the Pacific and Haystack Rock. Great town and beach access. A very quiet location. This property is a little dated and worn, but exactly what we expect from a beach rental. We look forward to returning... "
"The property is very well located and quiet. Easy walking distance to the downtown shops and very close to some great restaurants." "This house is in a great location, easy walking distance to town and just steps from the beach and the view out the window of Haystack Rock is a great bonus! The only negative I have is that the house is old and somewhat dated. It could use some updating, especially in the bathrooms & kitchen, but it was very clean and it had everything you'd ever need for a comfortable stay. The beds were very comfy too. I would stay here again, for sure!" "Excellent location, only a few steps to the beach. Comfortably sleeps 8 people. Great kitchen, cute backyard for sitting outside. " "Very comfortable beds. Great view and beach access. Kitchen well furnished. Excellent tasting tap water. Good showers." "We booked this to get away and recharge. It was so nice to be able to site a watch the waves crash on the beach, spend time with friends and just relax. So worth the trip and will plan another trip"
"What a wonderful oceanfront location,exceptional views from the house and front garden and just a few steps onto the beach and only a few minutes walk to Cannon Beach itself. The house is well appointed,roomy and cosy and very clean throughout. A couple of minor issues were brought to the management companies attention, interior blinds needed a clean and the garage door automatic function needed addressing though could be locked manually. The staff at Cannon Beach Property Management are first class, professional and easy to deal with. "This was the ideal location--so close to Haystack Rock. View was spectacular. The house was great--comfortable furniture, lots of room. Rained two days, but sitting on the couch, watching the waves was very relaxing!" "Great location and very comfortable accomodation. Had everything we needed and we had a wonderful stay. Thanks!" replace outside lightbulbs that were out. We will rent this house again, I'm sure." "Great House, Great location, great views, close to town, everything you need to be comfortable and to enjoy Cannon Beach"
"This is an older home with some maintenance problems, but the management company is very accommodating and the open floor plan and great location trump minor inconveniences. Pantry is not stocked except with salt and pepper, so bring all you need for food prep." "Water Heater was not quite right from the moving in day but we did not realize at that time what the puddle near the garage door "meant". When the heater failed totally and Ron came to fix it he and I considered the history and he solved the problem. Ron is great!" "The view is fantastic and the location is excellent. The kitchen is well furnished, but needs more overhead lighting. Overall it was perfect for our group and we plan to be back. " "It was a beautiful location overlooking the ocean with Haystack Rock just a short walk down the beach. Not only did we luck out with sunny weather in the spring time, but the view is awesome. We will definitely plan our family vacation in this house again." "We had a fabulous time staying at the Beachwood. The home was very clean, the kitchen is very well stocked and the layout was perfect for our family get away. Being right on the beach made it all even better. We can't wait to come back. " "This is a great house and a great location on the beach. My son and his family joined us from California and we had a wonderful time - even with the rain and wind! My wife was surprised to find the kitchen so well equipped with pots, pans and cooking gear. We ate in all but two nights and cooking was hassle free. There were a couple of issues with the house. The day before we left the furnace stopped working. I sent CBPM an email the morning we left and the furnace was repaired the same day. The key to the front door does not work on the lock to the deck off the master bedroom. This can be an issue if you lock yourself on the deck (by not remembering to unlock the door knob lock properly). I'd suggest the lock be changed to be compatible with the front door key." "The weather and the waves were a blessing to wake up to. Nice spacious open floor plan in main living quarters, and plenty of room for all." "This is our second year at Cannon beach in the Beachwood house and we love it. Our family looks forward to this end of the summer trip and we look forward to going in 2011!" More railings for stairs would be desirable for older/handicapped. Kitchen very well supplied with equipment"
"We love this house and want to continue to visit it. Cannon Beach Property Management is always very helpful and we are grateful for the flexibility they showed this year when we almost missed our annual visit."